My first thought was, ‘yes I can, and thank God.’ Thought number two was, ‘is that Lianna La Havas playing jazz chords on a uke? !’ This was about a second before I looked at her and realised that this was someone new, rocking urban elegance in a giant fedora hat. She describes her style as a marriage between Jazz and soul, with dashes of folk, sprinkles of blues and drops of reggae. This description is spot on to my ears, and I’m not at all surprised that she listed Billie Holiday in her top three influences (along with Gil scot heron and Sixto Rodríguez Rodríguez). So her EP is there for if you want an ear drum bath, basically. But for me, the most unmissable aspect of Chisara’s music is her lyrics. She’s been doing musical theatre from the age of 9, and she was often given the role of writing choruses that tell a story to the audience. 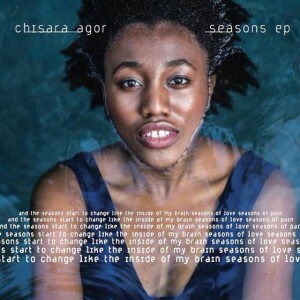 Years later, Chisara is telling true, hard-hitting stories about the world. You know that she’s not just making sweet melodies when she sings of the ‘lifestyles shoved down our throats in pretty packages’. She is a musician with a purpose. Read about other up and coming artists here.